Healthcare industry is evolving day by day and is also making a huge fame in the market. It is challenging for the people to stay on par with the changes in healthcare industry, online advertising has seen latest industry insights from trusted sources to emphasize the tools and trends that will give a new definition to the healthcare industry. These trends will talk about various ways to promote the healthcare industry and how digital media is giving a great experience and is reducing the hassles experienced by the people. In addition, this even covers how digital marketing is helping pharmaceutical and medical professionals to stabilize the health of their companies. 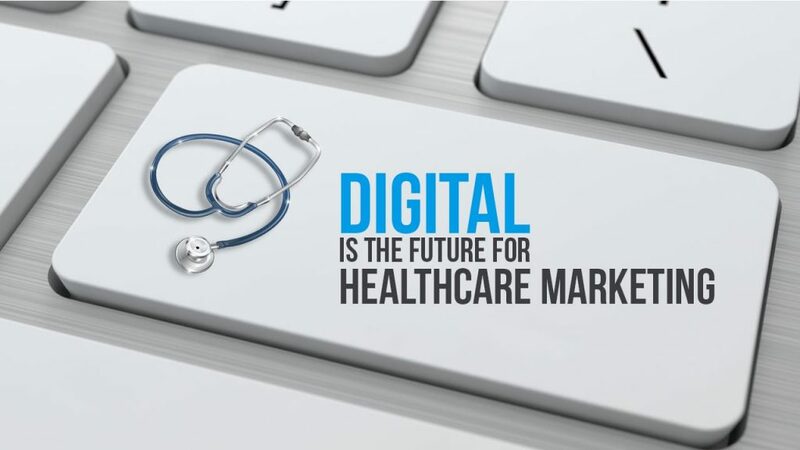 To enforce the predictions into practices, this digital marketing is helping healthcare industry to turn the opportunities into strategies and business. Here are a few healthcare trends that you need to take a look over to give a clear picture of how these trends of changing the phase of healthcare business. Digital Marketing Trends in Healthcare is the best option to follow in healthcare industry as digital is the future of healthcare industry. As per the research conducted by GSW worldwide, it was found that over 1/3rd of customers will look into web for answers to their health queries. So, a huge number of customers are waiting for the valuable information to be uploaded on the web on health products and brands. Many people ignore to look over the online ads on healthcare industry. The companies are creating interesting content to grab the attention of audience to click on the ads. Few of the brands that have gained a huge name in the market have gained many customers to their business by creating compelling content, giving advices on health by experts, share the experiences of patients who have taken the treatment in their clinics and are allowing the patients to connect with other patients who are suffering from the same disease in an online community. The main motto of crafting content is to answer the queries of the patients and follow in their personal journey. One of the best way to follow in Digital Marketing Trends in Healthcare is Writing best contents in order to impress the customers. Mobile technology is creating waves in the Digital Marketing Trends in Healthcare industry by letting the people to take their health into their hands. As per the survey conducted by American Marketing Association, it was found that many people are using mobile to track their fitness levels, check the heart rate from time to time, check weight and other signs to get treated immediately, if they notice anything abnormal changes in the body. However, it is crucial for every healthcare industry to come up with more mobile applications to engage with the customers to gain their trust and improve the momentum of their business. Undeniably, mobile will become a common platform for the patient and healthcare provides down the line. In fact, these mobile devices are helping doctors to receive the reports of patients through application, diagnose health issues, recommend the right treatment for their symptoms and offer referrals to the best doctors who can treat the disease with which the patient is suffering and put the patient into quick treatment to save their life. The patients are able to get the doctor advice at their fingertips. 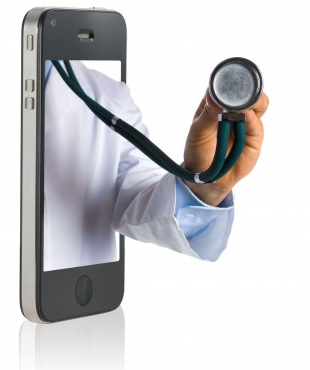 Using mobile apps guidance is an inevitable part in Digital Marketing Trends in Healthcare. Local ads are one of the best to consider in Digital Marketing Trends in Healthcare. Mobile is the best way for the patients to search for the close by medical stores or hospitals. The healthcare marketers can target the ads based on location to get more patients to their clinics from the locality. This mobile technology is letting the marketers to target their content to the potential audience in the locality and send the offers directly to their mobile phones. The researched conducted by GSW Worldwide found that around 62% of people will share the information about local deals with the friends and 57% of people will click on local ads. From this, it is evident that most of the customers are looking the local ads and is considered to be the valuable marketing tactic for the healthcare industry. Earlier, marketers used to take a lot of time to create a single ad, but in the era of instant advertising the ads are unprepared. The spur ads are gaining huge prominence with the progressing of social media. Moreover, the spur ads have become a huge success for the businesses. The brads are creating live events and are gaining the live responses of the potential audience. This is giving an opportunity for the businesses to connect with the customer and grab the opportunities immediately. These quick responses are given by the customers and are shared and retweeted in record numbers. This is helping the brand to strengthen their image in the market while saving a big amount that they spend on media. You can easily create instant ads. All you need to do is to post interesting and concise content to touch the pulse of the audience. You need to have a talented marketing team who can craft the ads spontaneously. Social media and healthcare marketing go hand in hand. Both these totally focus on personal matters. The customers are giving their voice on social media and are using this platform to share their feedback on the healthcare products and brands. 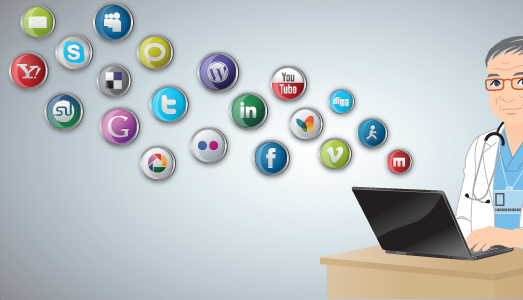 As per the report given by EconomicVoice.com, it is clear the brands are using the social media platform to connect with the customers, engage them on their account for longer period by posting compelling content about their products and are creating buzz about the brands. The main aim of interacting with the patients on social media is to gain the trust of patients and drive them towards their brand. Social media is bridging a personal connection between brand and customers. Undoubtedly, social media is standing on the top of healthcare marketing trend. Many customers believe in the online reviews posted by the customers who have already undergone treatment near a physician or a specialist. Moreover, leaving online reviews have increased to 68% from the year 2013 to 2014 as per the study conducted by SearchEngineLand.com and posted on MedNet.com. A new survey that is conducted by Software Advice and posted on FiercePracticeManagement.com found that over 44% of patients is willing to take appointment of the doctors having good online reviews. This clearly indicates that online reviews are having greater impact on gaining new patients. This would increase in the coming years. In addition to taking the referrals of their friends or acquaintances, they are also viewing the online reviews about a particular physician. These reviews will boost the fame and credibility of the physician and at the same time these reviews get high visibility on search engines, thus letting the other prospective patients to step into your clinic. To get more online reviews, here are a few tips you need to follow. • Request your patients to post reviews through various channels, i.e. through emails, social media, direct email or word of mouth. Many brands are making use of in-market test to strengthen their brand reputation by identifying the loopholes pushing their marketing efforts down the drain. These people form focus groups to test various products and gather feedback from the customers. The companies who have taken the feedback of customers and improvised the products have seen rise in the conversation rates over the other companies who results were stagnant. In the coming years, the decision would shift from executives’ hands to customer hands. The best way to promote the healthcare products is through videos. These are engaging and imprints about your brand in the minds of the audience. Undeniably, the content that is posted by the brands will be lengthy and time-consuming to go through. So, the brands are cutting short the messages and putting them in online videos to let the customers assimilate the concepts easily. With the increase in the usage of mobiles, the popularity of online videos is also on the rise. As per the survey conducted by comScore data, it was found that progression of mobile technology has made around 60% of U.S digital media to spend their time on Smartphone and tablets. To make the digital content user-friendly and easy to read and digest, the marketers are promoting the content in the video format to allow the customers to watch them on the move. In fact, many marketers are following the online video creation trend with the upliftment of mobile technology. This idea is best to apply in Digital Marketing Trends in Healthcare. Though, Digital Marketing Trends in Healthcare keeps on changing, but the brands are also staying on par with the latest trends. With the above mentioned trends, the healthcare brands can create solid and powerful marketing strategies to improve the financial health of their business in the years to come.